Early on a Sunday morning, a deserted Sugar Beach awaits. 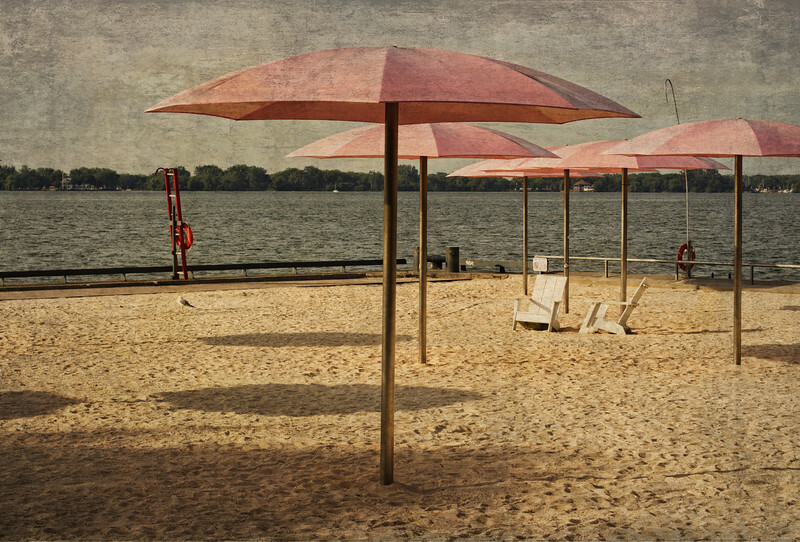 With only the famous pink umbrellas for company I could sit in one of the waiting chairs and dream about sunny days to come and pause to savour the moment of cool breezes and gently lapping water. Sugar Beach is stunning whatever the season, and the very best time to experience it is very early in the morning.